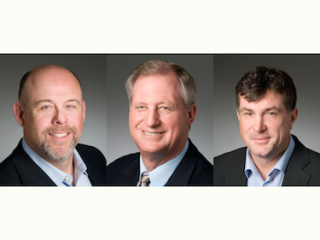 Revolabs’ CEO JP Carney, VP of product Alan MacLeod, and executive VP of global sales Jim Fairweather will be panelists at InfoComm 2016 as part of the IMCCA/InfoComm 2016 UCC Program. ”InfoComm is the industry's most important platform for discussing the trends, technologies, and challenges affecting our marketplace," said Carney. "At this year's show, Revolabs will address topics related to the state of our industry, including UC solutions and huddle room technologies that are coming to market." On Wednesday, June 8 from 12:30 – 2 p.m. at The Westgate: Pavilion 10, Carney will join industry experts and senior executives for the UCC State of the Industry Lunch and Learn as they address the latest issues related to conferencing, collaboration, and unified communications (UC). On Thursday, June 9 from 12:30 – 2 p.m. in room N258, MacLeod will be on the panel during the "Unified Communications & Collaboration Roadmap" session. This session will look at the successes and pitfalls of UC implementation and how to achieve that "right blend" of technologies and features. Finally, in a session titled "The Huddle Room — How to Find the Right Technology Solutions" on June 9 from 2:15 – 3:15 p.m. in room N258, Fairweather will discuss best practices for selecting the right technology for critical huddle room spaces, and whether or not users should be expected to bring their own devices to these rooms. More information on the IMCCA/InfoComm 2016 UCC Program and other InfoComm education sessions is available at http://www.infocommshow.org/education--conferences.